Burdette W. Salmon household, 1910, San Joaquin County, California, population schedule, Castoria, ED 113, sheet 1A, dwelling 2, family 2, age 39, occupation General Farmer. California, County Birth and Death Records, 1800-1994, database with images, online www.familysearch.org, FamilySearch ([REFERENCE-ERROR] : [REFERENCE-ERROR]), [REFERENCE-ERROR] > image [REFERENCE-ERROR] of [REFERENCE-ERROR]; California State Archives, Sacramento.Records, 1800-1994; Reference ID: 1137; GS Film Number: 1832274; Digital Folder Number: 004282441; Image Number: 2245. California, County Marriages - viewed at FamiySearch, online www.familysearch.org, FamilySearch (https://familysearch.org/ark:/61903/1:1:K82R-R1K : 10 December 2017), Wallace Bourdett Salmon and Marie Charlotte Crumley, 21 Dec 1925; citing San Joaquin, California, United States, county courthouses, California; FHL microfilm 1,841,870. Ellsworth Steinhauser household, 1940 U.S. Census, Jackson County, Ellsworth Steinhauser, population schedule, Buckner (Fort Osage), ED 48-37, sheet 4B, Street or Post Office Hudson, house number 92, number of household visited 99, National Archives micropublication T627-2116, age 35, occupation Manager - Service Station. John S Ashworth household, 1910 U.S. Census, Scott County, Virginia, population schedule, DeKalb, ED 66, sheet 3B, dwelling 51, family 52, age 27, occupation Farmer. Lonza S Ashworth household, 1930 U.S. Census, Letcher County, Lonza S Ashworth, population schedule, Seco, ED 24, sheet 7B, dwelling 123, family 130, age 26, occupation Miner - Coal Mine. Lonza household, 1940 U.S. Census, Sullivan County, Lonza, population schedule, Civil District 12, ED 82-25, sheet 13A, number of household visited 214, National Archives micropublication T627-3938, age 36, occupation Relief Man - Cement Plant. Ancestry.com. Virginia, Select Marriages, 1785-1940 [database on-line]. Provo, UT, USA: Ancestry.com Operations, Inc, 2014., online search.ancestry.com, Virginia, Select Marriages, 1785-1940 [database on-line]. Provo, UT, USA: Ancestry.com Operations, Inc, 2014. Willie McNiel, Jr. household, 1910 U.S. Census, Wise County, Willie McNiel, Jr., population schedule, Gladeville, ED 130, sheet 1B, dwelling 10, family 10, age 31, occupation Laborer - Mine. Husdon McNiel household, 1930 U.S. Census, Westmoreland County, Husdon McNiel, population schedule, Gladeville, ED 9, sheet 22A, dwelling 371, family 400, age 26, occupation Laborer - General Farm. Husdon McNiel household, 1940 U.S. Census, Wyse County, Husdon McNiel, population schedule, Gladeville, ED 98-10, sheet 17B, number of household visited 391, National Archives micropublication T627-4301, age 37, occupation Laborer - Saw Mill. Theodore Bigham household, 1940 U.S. Census, Seneca County, Ohio, population schedule, Liberty, ED 74-21, sheet 5A, dwelling Farm in Rural County, 73. John D. Dunford household, 1910 U.S. Census, Tazewell County, John D. Dunford, population schedule, Jeffersonville, ED 102, sheet 7A, dwelling 111, family 111, age 34, occupation Farmer Home Farm. Vivian Armstrong, "Herbert Newt Armstrong," e-mail to David C. Pratt, 4 Jan 2008. Elmer C. Harbour household, 1940 U.S. Census, Wheeler County, Elmer C. Harbour, population schedule, Rural County, ED 242-11, sheet Rural County, house number 132, number of household visited Married 34 year old Farm Laborer, National Archives micropublication T627-4162. Find A Grave, database and immages, online www.findagrave.com, Theodore George Saad, Find A Grave Memorial no: 23205355. Doris Strum was born between 1904 and 1910 at Canada.1,2 She married Harry Eugene Urmey, son of Samuel W. Urmey and Hattie M. Nowlin, before 1940 at California.1 Doris Strum and Harry Eugene Urmey appeared on the census of 10 May 1940 in Los Angeles, Los Angeles County, California.1 Doria and Harry were found on a passenger list on 19 February 1941 at Honolulu, Hawaii. 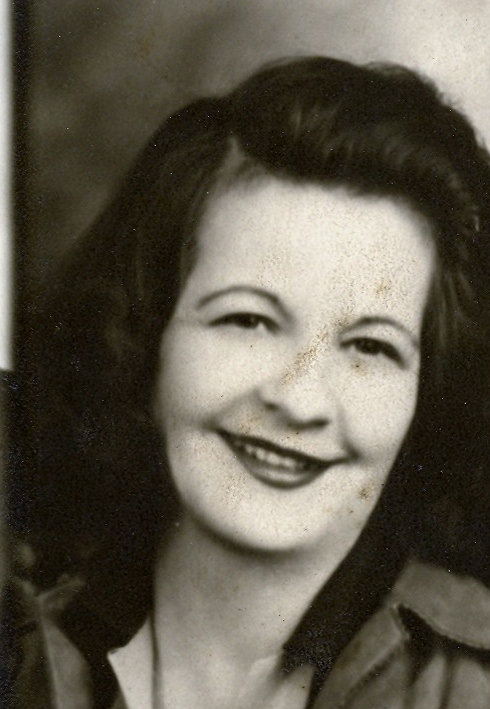 They were aboard the Matsonia voy 77 out of Los Angeles (13 Feb 1941).2 Doris Strum died on 20 February 1992. FamilySearch (https://familysearch.org/ark:/61903/1:1:K9CN-5X2 : accessed 21 December 2017), Doris Urmey in household of Cleo Binz, Councilmanic District 4, Los Angeles, Los Angeles Township, Los Angeles, California, United States; citing enumeration district (ED) 60-289, sheet 18A, line 31, family 518, Sixteenth Census of the United States, 1940, NARA digital publication T627. Records of the Bureau of the Census, 1790 - 2007, RG 29. Washington, D.C.: National Archives and Records Administration, 2012, roll 401. household, 1940 U. S. Census viewed online at FamilySearch, Los Angeles, California, population schedule, ED unknown cd3, sheet unknown cd4. Hawaii, Honolulu Passenger Lists, 1900-1953, database with images at, online familysearch.org, FamilySearch (https://familysearch.org/ark:/61903/1:1:QV9Z-YK9C : 30 December 2014), Harry Urmey, 1941; citing Ship , NARA microfilm publication A3422 (Washington D.C.: National Archives and Records Administration, n.d.). Find A Grave - Memorial Page, online www.findagrave.com, Find A Grave Memorial# 69151729 - Photo of head stone. Lloyd F. Harbour household, 1930 U.S. Census, Alameda County, Lloyd F. Harbour, population schedule, Albany, ED 267, sheet 18A, dwelling 460, family 471, age 26, occupation Laborer. Lloyd F. Harper household, 1940 U.S. Census, Napa County, Lloyd F. Harper, population schedule, Napa, ED 28-11, sheet 81A, Street or Post Office Peterson Auto Court Napa, National Archives micropublication T627-269, Married, 36 year old, Electric Welder. George Piper household, 1910 U.S. Census, Flathead County, George Piper, population schedule, Kalispell, ED 29, sheet 3A, dwelling 41, family 42, age 30, occupation Foreman - Planing Mill. Ancestry.com. Idaho, Death Index, 1890-1962 [database on-line]. Provo, UT, USA: Ancestry.com Operations Inc, 2003. Original data: Bureau of Health Policy and Vital Statistics. Idaho Death Index, 1911-51. Boise, ID, USA: Idaho Department of Health and Welfare., online search.ancestry.com, Certificate Year: 1946; Certificate Number: 149177. George G Piper household, 1910 U.S. Census, Clearwater County, George G Piper, population schedule, Elk River, ED 67, sheet 2B, dwelling 37, family 37, age 39, occupation Machinest - Saw Mill. Louisa M Piper household, 1920 U.S. Census, Spokane County, Louisa M Piper, population schedule, Spokane, ED 220, sheet 4B, dwelling 79, family 106, age 70, occupation None. Herbert L. Piper household, 1940 U.S. Census, Spokane County, Herbert L. Piper, population schedule, Spokane, ED 41-38, sheet 9B, Street or Post Office Knox, house number 528, number of household visited 221, National Archives micropublication T627-4385, age 36, occupation Demta; Technition - Comercial Lab. Washington, Marriage Records, 1854-2013, Washington State Archives; Olympia at Ancestry.com, online interactive.ancestry.com. US.,Department of Veteran Affairs BIRLS Death File, 1850-2010 on ancestry.com, online search.ancestry.com. John Brickman household, 1910 U.S. Census, Lyman County, South Dakota, population schedule, Hilmo, ED 0063, sheet 12A, dwelling 30, family 34, age 38, occupation Farm Laborer. SSI Death Index, online www.familysearch.org. Public Member Tree, online search.ancestry.com, Collins/Dolch Famil Tree - Photo copy of Johann Brickman naturalization petition. Woodford Armstrong household, 1910 U.S. Census, New Hanover County, North Carolina, population schedule, Wilmington, ED 92, sheet 172A, dwelling 414, age 40, occupation Clerk Ice House. Ancestry.com. North Carolina Birth Index, 1800-2000 [database on-line]. Provo, UT, USA: MyFamily.com, Inc., 2005. Original data: Register of Deeds. North Carolina Birth Indexes. Raleigh, North Carolina: North Carolina State Archives. Microfilm., online http://www.ancestry.com, Roll Number: B_C070_66007A; Volume: 76; Page: 534. Ancestry.com. North Carolina Birth Index, 1800-2000 [database on-line]. Provo, UT, USA: MyFamily.com, Inc., 2005. Original data: Register of Deeds. North Carolina Birth Indexes. Raleigh, North Carolina: North Carolina State Archives. Microfilm., online http://www.ancestry.com, Roll Number: B_C070_66007A; Volume: 76; Page: 534;. Woodford Armstrong household, 1910 U.S. Census, New Hanover County, North Carolina, population schedule, Wilmington, ED 0092, sheet 9A, dwelling 414, age 40, occupation Clerk Ice House. Thomas Chaney household, 1930 U.S. Census, Hopewell City, Thomas Chaney, population schedule, Hopewell, ED 1, sheet 6A, dwelling 79, family 110, age 34, occupation Opperator Nitrogen Plant. The Progress-Index, 30 Nov 2006. Ancestry.com, World Tree entries, online search.ancestry.com, Harwood - Scott Harwood JR.
Find A Grave - Memorial Page, online www.findagrave.com, Find A Grave Memorial# 32876377. Oregon Death Index, online http://search.ancestry.com/, Certificate: 72-07212. Ancestry.com's Family Trees, 16 Apr 2004. CA Death Index, online search.ancestry.com, SSN: 552-44-1038. Leo J. Houweling household, 1930 U.S. Census, San Francisco County, Leo J. Houweling, population schedule, San Francisco, ED 240, sheet 1A, dwelling 2, family 7, age 28, occupation Electrition at Battery Factory. Percy Herrill household, 1920 U. S. Census, Sacramento County, Percy Herrill, population schedule, Sacramento, ED 109, sheet 4A, dwelling 76, family 83, age 24, occupation Book keeper - Garage. At Ancestry.com - California, San Francisco Area Funeral Home Records, 1895-1985 [database on-line]. Provo, UT, USA: Ancestry.com Operations, Inc., 2010. Original data: San Francisco Area Funeral Home Records, 1895-1985. Microfilm publication, 1129 rolls. Researchity. San Francisco, California., online search.ancestry.com, Walter N. Herrill: FatherHenry, Mother Fannie M Arstrong. Walter N. Herrill household, 1930 U.S. Census, San Francisco County, Walter N. Herrill, population schedule, San Francisco, ED 0344, sheet 4A, dwelling 5, family 2235, age 26, occupation Auditor- Public Accounting. Indiana. Marriages, 1811-2007 viewed on FamilySearch, online familysearch.org, FamilySearch (https://familysearch.org/ark:/61903/1:1:K3L6-TV9 : 10 December 2017), Charles W Breathitt and Ceola H Montross, 12 Jul 1940; citing Steuben, Indiana, United States, various county clerk offices, Indiana; FHL microfilm 1,887,335. Theodore N. Bigham household, 1930 U.S. Census, Seneca County, Theodore N. Bigham, population schedule, Jackson, ED 27, sheet 9B, dwelling 214, family 223, age 25, occupation Farmer. Ohio, Births and Christenings Index, 1800-1962; Ancestry.com. Ohio, Births and Christenings Index, 1800-1962 [database on-line]. Provo, UT, USA: Ancestry.com Operations, Inc., 2011., online search.ancestry.com, Theodore R. Bigham. SSI Death Index, online search.ancestry.com, Theodore Bigham - Source Citation: Number: 282-36-3197; Issue State: Ohio; Issue Date: 1957-1958. Clinton D. Kendall household, 1910 U.S. Census, Brookings County, Clinton D. Kendall, population schedule, Brookings City, ED 0040, sheet 3A, dwelling 50, family 51, age 31, occupation Drugist - Drugs. South Dakota, Department of Health, Index to Births 1843-1914 and Marriages 1950-2016, online www.familysearch.org, FamilySearch (https://familysearch.org/ark:/61903/1:1:QKD8-T2HT : 11 February 2018), Richard Kendall, 19 Aug 1904; citing Birth, Brookings, South Dakota, United States, South Dakota Department of Health, Pierre. Clinton D. Kendall household, 1920 U.S. Census, Brookings County, Clinton D. Kendall, population schedule, Brookings City, ED 27, sheet 10A, dwelling 173, family 188, age 41, occupation Druggist - Own Store. South Dakota State Census, 1945, database with images, online familysearch.org, FamilySearch (https://familysearch.org/ark:/61903/1:1:MLBT-RJH : 3 August 2017), Richard W Kendall, Brookings Ward 2, Brookings, South Dakota; citing p. , State Historical Society, Pierre; FHL microfilm 2,371,453. Richard W. Kendall household, 1930 U. S. Census, Los Angeles, California, population schedule, Montebello, ED 1187, sheet 11A, dwelling 247, family 330, age 25, occupation Salesman Brokerage House. Disk Kendall household, 1940 U.S. Census, Brookins County, Disk Kendall, population schedule, Brookings, ED 6-10, sheet 2B, Street or Post Office Fourth Street, house number 1011, number of household visited 49, National Archives micropublication T627-3848, age 34, occupation Proprietor - Pharmacist - Retail Drug Store. SSI Death Index, online www.familysearch.org, FamilySearch (https://familysearch.org/ark:/61903/1:1:V3NG-KTR : 19 May 2014), Richard W Kendall, 02 Sep 1989; citing U.S. Social Security Administration, Death Master File, database (Alexandria, Virginia: National Technical Information Service, ongoing). Find A Grave - Memorial Page, online www.findagrave.com, Walter Clyde Harbour, Sweetwater Cemetery. Memorial# 104105185. Walter C. Harbour household, 1930 U.S. Census, Ochiltree County, Walter C. Harbour, population schedule, Justice Precinct 3, ED 5, sheet 2A, dwelling 26, family 26, age 25, occupation Laborer - Farm. Texas Divorce Index, 1968-2002 at Ancestry.com. Original data: Texas Department of State Health Services, Texas Divorce Index, online search.ancestry.com, Walter C. Harbour, age 66 and Pauline, born about 1911. Find A Grave - Memorial Page, online www.findagrave.com, Walter Clyde Harbour - Memorial #104105185. Clarence V. Edwards household, 1940 U.S. Census, Green Lake County, Clarence V. Edwards, population schedule, Princeton, ED 24-16, sheet 3A, Street or Post Office Main Steet, number of household visited 50, National Archives micropublication T627-4483, age 37, occupation Telephone Co. Foreman - Wisconsin Bell Telephone. Letter, Raymond "Ray" Frank Goelitz to Norman Pratt, 21 Sep 1981. Mary McDonald household, 1930 U. S. Census, Los Angeles, California, population schedule, Los Angeles, ED 366, sheet 16B, dwelling 133, family 238, Boarding House. Charles Taulman household, 1940 U. S. Census, Los Angeles, California, population schedule, Inglewood, ED 19-320, sheet 9B, dwelling Bandini, family 627, 282. Debbie Gowen Research, "Debbie (Pratt) Gowen - Emails," e-mail to David C. Pratt, Obiturary posted on family tree at ancestry.com. 1911 British Census, online htt://www.findmypast.co.uk, John Hunt Forth: RG number: RG14; Piece: 19552; Reference: RG14PN19552 RG78PN1174 RD415 SD1 ED6 SN165. 1939 Register Transcription viewed online at FindMyPast, online findmypast.com, Harry and Rose Sands - Main Road Wrangle, Bost R.D. England & Wales, Birth, marriage and death records, 1837-2008, View at findmypast.co.uk, online www.findmypast.co.uk, RD: Boston, Lincolnshire, Yr: 1926, Quarter: Apr-Jun, Vol: 7A, Page: 1081. Ancestyr.com - England & WalesDeath Index, 1837-1915 [database on-line]. Provo, UT, USA: Ancestry.com Operations Inc, 2006., online search.ancestry.com, District: BOSTON; District number: 6101B; Register number: C9; Entry number: 008; Date of registration mm/yy 0794. England & Wales, Birth, marriage and death records, 1837-2008, View at findmypast.co.uk, online www.findmypast.co.uk, RD: Boston, Lincolnshire, Yr: 1926, Quarter: Oct-Dec, Vol: 7A, Page: 631. England & Wales, Birth, marriage and death records, 1837-2008, View at findmypast.co.uk, online www.findmypast.co.uk, RD: Boston, Lincolnshire, Yr: 1927, Quarter: Oct-Dec, Vol: 7A, Page: 593. 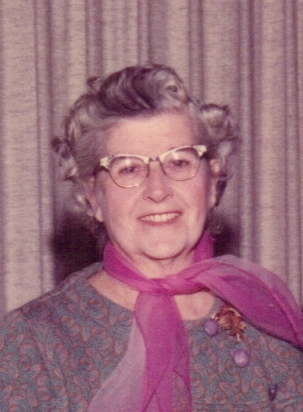 Sarah MacArthur Galas, "WorldConnect Progect, Ancestry.com: galas/macarthur page", Ancestral File. Julius Roos household, 1910 U. S. Census, Lake County, California, population schedule, Lake Port, ED 39, sheet 191A, dwelling 236, family 240, occupation Electrition with the Phone Company. Julius Roos household, 1910 U. S. Census, Lake County, California, population schedule, Lake Port, ED 39, sheet 191A, dwelling 236, family 240, age 36, occupation Electrician with Telephone Company. Helen W Roos household, 1920 U. S. Census, Alameda County, Helen W Roos, population schedule, Oakland, ED 111, sheet 5B, dwelling 92, family 124, age 40, occupation Librarian. W. Adele Roos household, 1930 U.S. Census, Yolo County, W. Adele Roos, population schedule, Putah, ED 12, sheet 43B, dwelling 88, family 87. Henry Macarthur household, 1940 U.S. Census, Sacramento County, Henry Macarthur, population schedule, Sacramento, ED 34-124A, sheet 10B, Street or Post Office Harkness Avenue, house number 2657, number of household visited 279, National Archives micropublication T627-280, Mac was listed as a married 35 year old Public Relations man for the State Dept. of Employment. California, County Birth and Death Records, 1800-1994, database with images, online www.familysearch.org, FamilySearch (https://familysearch.org/ark:/61903/1:1:QGL7-5R55 : 18 January 2018), John Beecher Salmon, 23 Dec 1904; citing Birth, San Joaquin, Fresno, California, United States, California State Archives, Sacramento. John B Salmon household, 1940 U.S. Census, San Joaquin County, John B Salmon, population schedule, Castoria, ED 39-3, sheet 8B, Street or Post Office Highway 50, house number Farm, number of household visited 138, National Archives micropublication T627-325, age 36, occupation Farmer. Find A Grave, database and immages, online www.findagrave.com, John Beacher Salmon, Find A Grave Memorial no: 41766192. Edward P. Farrell household, 1910 U.S. Census, Baker, Oregon, population schedule, Baker City, ED 3, sheet 40B|114, dwelling 115, family occupation goldminer. Burwell Reynolds household, 1930 U. S. Census, El Dorado County, California, population schedule, Placerville, ED 10, sheet 5B, dwelling 148, family 149, occupation traffic officer. Burwell W. Reynolds household, 1940 U.S. Census, Alameda County, Burwell W. Reynolds, population schedule, Eden, ED 1-58, sheet 1A, Street or Post Office East 14th, house number 21268, number of household visited 10, National Archives micropublication T627-185, Age 34, Sargent Hiway Patrol. CA Death Index, online search.ancestry.com, Source Citation: Place: Placer; Date: 2 Nov 1993; Social Security: 549761542. Debbie Gowen Research, "Debbie (Pratt) Gowen - Emails," e-mail to David C. Pratt, email - 10/20/2012 Transcript of an obituary for Arthur Wayne Riddle of Maricopa County Arizona and a photo of his grave marker. Public Member Tree, online search.ancestry.com, Margaret Ann Green (banusa2). Find A Grave - Memorial Page, online www.findagrave.com, Helen M Rohrbach - Find A Grave Memorial# 62948814. Albert E. Ramsey household, 1930 U.S. Census, Allen County, Albert E. Ramsey, population schedule, Fort Wayne, ED 22, sheet 13B, dwelling 283, family 306, age 56, occupation Night Watchman - Iron Foundry. Wesley Searles household, 1930 U.S. Census, Chelan County, Wesley Searles, population schedule, Ollala, ED 31, sheet 2A, dwelling 30, family 30, age 57, occupation Farmer. Isac Scarles household, 1940 U.S. Census, King County, Isac Scarles, population schedule, Ellinson Precinct, ED 17-65, sheet 1A, Street or Post Office Logging Camp, number of household visited 5, National Archives micropublication T627-4344, 35 year old logging Bucker. Hugh C. Davidson household, 1940 U.S. Census, Napa County, Hugh C. Davidson, population schedule, St Helena, ED 28-20, sheet 6A, Street or Post Office Harney Street, house number 1458, number of household visited 170, National Archives micropublication T627-269, Married, 36 year old salesman in the Petroleam Industry. CA Birth Index, online at search.ancestry.com, Mainden name based on the birth certificate for Hugh Chas Daivdson. Albert Jacoboson household, 1910 U.S. Census, McKenzie County, Albert Jacoboson, population schedule, Banks, ED 0084, sheet 10B, dwelling 15, family 15, age 39, occupation Farming - General Farm. Public Member Tree, online search.ancestry.com, Jacobson Family Tree - jacobsonjames. Edmond Gorman household, 1940 U. S. Census, Los Angeles, California, population schedule, Los Angeles, ED 60-909, sheet 1B, dwelling Victoria Avenue, family 912 1/2, Visited. CA Birth Index, online at search.ancestry.com, Lee Orland Gorman - Mother's Maiden Name: Shearer. Jarman E. Shearer household, 1910 U.S. Census, La Salle County, Jarman E. Shearer, population schedule, La Salle, ED 0074, sheet 4A, dwelling 88, family 88, age 32, occupation Farmer. Jarman E. Shearer household, 1910 U.S. Census, La Salle County, Jarman E. Shearer, population schedule, Justice, ED 0074, sheet 4A, dwelling 88, family 88, age 32, occupation Farmer. James M. Brunley household, 1940 U.S. Census, Montgomery County, James M. Brunley, population schedule, Germantown, ED 16-33, sheet 11B, Street or Post Office Rural, number of household visited Visited, National Archives micropublication T627-1554, Married, 42 year old U.S. Government working in Health Service. Robert H. Hawes household, 1930 U.S. Census, Fairfax County, Robert H. Hawes, population schedule, Centreville, ED 0002, sheet 1A, dwelling 10, family 10, age 51, occupation Farmer. Robert H. Hawes household, 1910 U.S. Census, Fairfax County, Virginia, population schedule, Centreville, ED 0026, sheet 6B, dwelling 111, family 112, age 32, occupation Farmer. Robert H. Hawes household, 1920 U.S. Census, Fairfax County, Robert H. Hawes, population schedule, Centreville, ED 27, sheet 6B, dwelling 140, family 142, age 42, occupation Farmer - General Farm. Jam P. Greear household, 1940 U.S. Census, Scott County, Jam P. Greear, population schedule, Johnson, ED 85-15, sheet 1B, Street or Post Office Valley Creek Road, house number Farm, number of household visited 13, National Archives micropublication T627-4293, a married 42 year old Farmer. New York, New York, Marriage Indexes 1866-1937 [database on-line]. Provo, UT, USA: Ancestry.com Operations, Inc., 2014. Original data: Index to New York City Marriages, 1866-1937. Indices prepared by the Italian Genealogical Group and the German Genealogy Group, and used with permission of the New York City Department of Records/Municipal Archives. Transcript viewed at Ancestry.com, online search.ancestry.com, Marriage Place: Manhattan, New York, USA; Spouse: Celia Hurowitz; Certificate Number: 20362; Purchase Certificate. 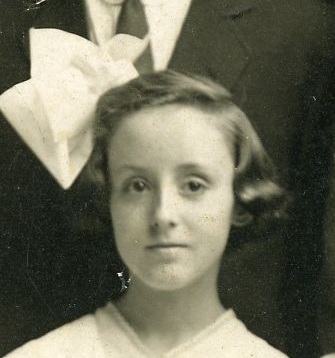 Anita Cramer Makler, "Mother-in-Laws second husband and the S.S. America in 1941," e-mail to David Pratt, 27 Jun 2014. Ben-Zion Winer household, 1940 U.S. Census, New York County, Ben-Zion Winer, population schedule, New York, ED 31-2114, sheet 11B, Street or Post Office Fort Washington Avenue, number of household visited 210, National Archives micropublication T627-2673, married 37 year old Manager of R Monuments. George H. Reynolds household, 1930 U. S. Census, San Joaquin County, California, population schedule, Stockton, ED 0043, sheet 7B, dwelling 19, family 19, age 63, occupation Truck Driver. California, San Joaquin, County Public Library Obituary Index, 1850-1991, database with images,, online familysearch.org, FamilySearch (https://familysearch.org/ark:/61903/1:1:VR8K-571 : 31 July 2017), Lester L Deicke, 1989; County Public Library, Stockton; FHL microfilm 1,786,876. Lester L. Deicke household, 1940 U.S. Census, Sonoma County, Lester L. Deicke, population schedule, Santa Rosa, ED 49-44, sheet 14A, Street or Post Office Bosley Street, house number 459, number of household visited 367, National Archives micropublication T627-350, Lester was listed as a married 35 year old Salesman - Automotive Parts. Illinois, Cook County Deaths, 1878-1994 viewed on FamilySearch, online www.familysearch.org, FamilySearch (https://familysearch.org/ark:/61903/1:1:Q23W-BD6J : 20 May 2016), Levi Brown in entry for Grace M Reuther, 01 Jul 1992; citing Burbank, Cook, Illinois, United States, source reference , record number , Cook County Courthouse, Chicago; FHL microfilm. John Reuther household, 1940 U.S. Census, Cook County, John Reuther, population schedule, Chicago, ED 103-873, sheet 16A, Street or Post Office S Sacramento Avenue, house number 6636, number of household visited 386, National Archives micropublication T627-940, John was listed as a married 35 year old owner salesman of a Rtail Food and i? Store. GenealogyBank - Search for Your Ancestors in Newspapers 1690-Today, online www.genealogybank.com, Wednesday, May 8, 2013 , Date: Wednesday, May 8, 2013 , Paper: Sacramento Bee. James De Massey household, 1930 U. S. Census, Fresno County, California, population schedule, Fresno, ED 0014, sheet 2A, dwelling 37, family 41, age 25, occupation Laborer - Golf ? CA Birth Index, online at search.ancestry.com, Mother's Maiden Name: Mitchell. 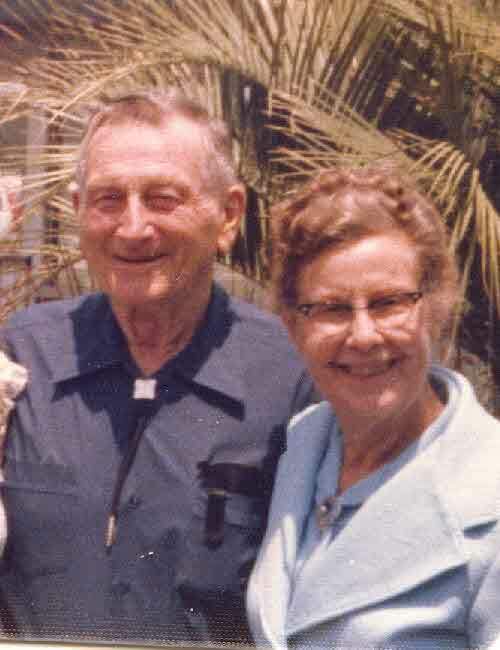 California, County Marriages - viewed at FamiySearch, online www.familysearch.org, FamilySearch (https://familysearch.org/ark:/61903/1:1:K8FV-GC8 : 8 December 2017), John M Taylor and Luella Harding, 30 Apr 1939; citing Orange, California, United States, county courthouses, California; FHL microfilm 2,051,213. Harold R Hornor household, 1930 U. S. Census, Los Angeles, California, population schedule, Los Angeles, ED 458, sheet 21A, dwelling 315, family 386, age 31, occupation Pattern Maker - Ornimental Iron Factory. CA Birth Index, online www.familyserach.org, FamilySearch (https://familysearch.org/ark:/61903/1:1:VLNN-492 : 27 November 2014), Jack Walter Hornor, 07 Apr 1935; citing Los Angeles, California, United States, Department of Health Services, Vital Statistics Department, Sacramento. Christian C. Banghart household, 1910 U.S. Census, Warren County, Christian C. Banghart, population schedule, Hope, ED 131, sheet 1B, dwelling 16, family 16, age 41, occupation Odd Jobs. Harold R Hornor household, 1940 U. S. Census, Los Angeles, California, population schedule, Burbank, ED 19-179, sheet 62A, dwelling N. Olive, family 631, 342. Clint C. Nichols household, 1910 U.S. Census, Burke County, Clint C. Nichols, population schedule, Richland, ED 33, sheet 10A, dwelling 68, family 68, age 40, occupation Michanic - Automobile. Harold W. Nichols household, 1930 U.S. Census, Whatcom County, Harold W. Nichols, population schedule, Bellingham, ED 8, sheet 8B, dwelling 176, family 228, age 25, occupation Laborer - Plumbing Shop. Harold W. Nichols household, 1940 U.S. Census, Whatcom County, Harold W. Nichols, population schedule, Bellingham, ED 37-10, sheet 5B, Street or Post Office Ontario, house number 2800, number of household visited 110, National Archives micropublication T627-4368, age 35, occupation Laborer - W.P.A. Construction. Emory Burke household, 1940 U.S. Census, Scott County, Emory Burke, population schedule, Floyd, ED 85-9, sheet 20A, Street or Post Office Road 653, number of household visited 321, National Archives micropublication T627-4293, age 40, occupation Farming. William G. McLauchlin household, 1930 U.S. Census, Dallas County, William G. McLauchlin, population schedule, Dallas, ED 36, sheet 20A, dwelling 330, family 365, age 31, occupation Clerk Chemical Company. George T. Council household, 1930 U.S. Census, Sumter County, George T. Council, population schedule, Americus, ED 13, sheet 1A, dwelling 6, family 16, age 25, occupation Dry Goods Salesman. George T. Council household, 1940 U.S. Census, Sumter County, George T. Council, population schedule, Americus, ED 129-14, sheet 13A, Street or Post Office East Glessner Street, house number 120, number of household visited 287, National Archives micropublication T627-710, George was a married 35 year old Clerk in a Retail Grocery. Ancestry.com. Georgia Deaths, 1919-98 [database on-line]. Provo, UT, USA: The Generations Network, Inc., 2001. Original data: State of Georgia. Indexes of Vital Records for Georgia: Deaths, 1919-1998. Gerogia, USA: Georgia Heatlh Department, Office of Vital Records, 1998., online http://www.ancestry.com, Certificate: 007643. Minnie J. Armstrong household, 1930 U.S. Census, Sebastian County, Minnie J. Armstrong, population schedule, Fort Smith, ED 34, sheet 7A, dwelling 151, family 163, age 62, occupation None. Paul A. James household, 1930 U.S. Census, Westmoreland County, Paul A. James, population schedule, Lower Burrell, ED 86, sheet 8B, dwelling 165, family 166, age 25, occupation CarpenterGlass works. Richard C. Bywaters household, 1920 U. S. Census, Culpeper County, Vriginia, population schedule, Stevensburg, sheet 24, dwelling 10A, family 183, 186. Richard C. Bywater household, 1910 U.S. Census, Wetzel County, Richard C. Bywater, population schedule, Grant, ED 0150, sheet 9B, dwelling 59, family 61, age 40, occupation Owner Livery Barn. Public Member Tree, online search.ancestry.com, Reynolds/Bywaters Family Tree. SSI Death Index, online search.ancestry.com, Number: 213-10-0256;Issue State: Maryland;Issue Date: Before 1951. Paul C. Bywaters household, 1930 U.S. Census, Baltimore City (Independent Ciity), Paul C. Bywaters, population schedule, Baltimore, ED 201, sheet 9A, dwelling 158, family 169, age 25, occupation Service Man, Trolley Co.
Paul C Bywaters household, 1940 U.S. Census, Baltimore County, Paul C Bywaters, population schedule, Woodlawn-Larchmont-Windsor Terrace, ED 3-1, sheet 7B, Street or Post Office Birn George, number of household visited 152, National Archives micropublication T627-1505, Married 34 year old Mechanic - Street Rwy. Rootsweb Worldconnect Family Trees, online wc.rootsweb.ancestry.com, Bywaters,reynolds,fryar,riffey family tree. Levi T. Brown household, 1910 U.S. Census, La Salle County, Levi T. Brown, population schedule, Mendota, ED 0117, sheet 2A, dwelling 32, family 35, age 46, occupation Carpenter. Levi T. Brown household, 1920 U.S. Census, La Salle County, Illinois, population schedule, Mendota, ED 129, sheet 6A, dwelling 127, family 135, age 56, occupation Carpenter - Self. Neil McArthur household, 1920 U. S. Census, Yolo County, Neil McArthur, population schedule, Winters, ED 230, sheet 9A, dwelling 37, family 37, age 44, occupation Black Smith - Shop. California, County Marriages - viewed at FamiySearch, online www.familysearch.org, FamilySearch (https://familysearch.org/ark:/61903/1:1:V487-MC9 : 28 November 2014), Henry Crawford Macarthur and Eva May Arbogast, 03 Apr 1926; citing Yolo, California, United States, county courthouses, California; FHL microfilm 1,673,366. Addison Gunter household, 1940 U.S. Census, Westchester County, Addison Gunter, population schedule, Mamaroneck, ED 60-109, sheet 64A, Street or Post Office Lakett Place, house number 10, number of household visited 249, National Archives micropublication T627-2805, A 35 year old married Petrolium Engineer - Refinery Equipment. Find A Grave - Memorial Page, online www.findagrave.com, Addison Yancey Gunter; Find A Grave Memorial# 118541822. Original data: Texas Department of State Health Services. Texas Death Certificates, 1903–1982. iArchives, Orem, Utah., online search.ancestry.com, Addison Y. Gunter; Texas, Death Certificates, 1903–1982 [database on-line]. Provo, UT, USA: Ancestry.com Operations, Inc., 2013. Original data: Texas Department of State Health Services. Texas Death Certificates, 1903–1982. iArchives, Orem, Utah., online search.ancestry.com, Texas, Death Certificates, 1903–1982 [database on-line]. Provo, UT, USA: Ancestry.com Operations, Inc., 2013. William W. Gunter household, 1910 U.S. Census, Cooke County, William W. Gunter, population schedule, Gainesville - Jusitce Precinct 5, ED 0060, sheet 16B, dwelling 218, family 255, age 80, occupation Farmer. Samuel Gunter household, 1920 U.S. Census, Cooke County, Samuel Gunter, population schedule, Justice Precinct 5, ED 42, sheet 10A, dwelling 189, family 190, age 46, occupation Farmer - Stock Farm. Find A Grave - Memorial Page, online www.findagrave.com, Anna Ruth Morris Gunter; Find A Grave Memorial# 118541945. Wm. Harbour household, 1930 U.S. Census, Clinton County, Illinois, population schedule, Brookside, ED 0007, sheet 12A, dwelling 263, family 267, age 33, occupation Car Man - Railroad Shop. William Hambert household, 1920 U. S. Census, Clinton County, Illinois, population schedule, Brookside, sheet 5, dwelling 6B, family 126, 127. William Harbour household, 1940 U.S. Census, Clinton County, William Harbour, population schedule, Brookside, ED 14-7A, sheet 4B, number of household visited 70, National Archives micropublication T627-770, a married 43 year old Car Man for the Rail Road. Find A Grave - Memorial Page, online www.findagrave.com, Goldie H. Harbour; Spouse: William Hubert Harbour; Find A Grave Memorial# 22674689. May J. Oman household, 1920 U.S. Census, Hancock County, Ohio, population schedule, Findlay, ED 54, sheet 6A, dwelling 143, family 150, age 36, occupation none. Parl Oman household, 1910 U.S. Census, Hancock County, Ohio, population schedule, Findlay, ED 0070, sheet 2A, dwelling 29, family 32, age 32, occupation Fireman -- Refinery. Harold M. Brown household, 1930 U.S. Census, Hancock County, Ohio, population schedule, Benton Ridge, ED 0006, sheet 2B, dwelling 56, family 56, age 32, occupation Salesman - Hardware Store. Michigan Marrieage Records, 18657-1952 viewed online at Ancestry.com, online search.ancestry.com, Harold M. Brown and Odetta Oman; Registers, 1887-1925; 1921 Midland-St Joseph; Record Number: 353; Film: 158. Harold M. Brown household, 1940 U.S. Census, Hancock, Harold M. Brown, population schedule, Benton Ridge, ED 32-6, sheet 3B, Street or Post Office North Off Main Street, number of household visited 55, National Archives micropublication T627-3081, Married 41 year old Plumber - House. Ancestry.com and Ohio Department of Health. Ohio, Deaths, 1908-1932, 1938-2007 [database on-line]. Provo, UT, USA: Ancestry.com Operations Inc, 2010., online search.ancestry.com, Certificate: 068193. CA Death Index, online search.ancestry.com, Maxine Jasorka Goelitz. Mathew Jasorka household, 1910 U.S. Census, Cook County, Illinois, population schedule, Chicago, ED SD, sheet Pg, dwelling 56, family 93, age 31, occupation Paint Mixer in Factory. Mathew Jasorka household, 1910 U.S. Census, Cook County, Illinois, population schedule, Chicago, ED 208, sheet 4B, dwelling 56, family 93, age 31, occupation Paint Mixer in Factory. Find A Grave - Memorial Page, online www.findagrave.com, Charlotte Ione Carter Smith - Find A Grave Memorial# 33278776. A. C. Smith household, 1930 U.S. Census, Ada County, A. C. Smith, population schedule, Boise, ED 0017, sheet 6A, dwelling 126, family 131, age 23, occupation Machinist - Power Company. Alfred C. Smith household, 1940 U.S. Census, Ada County, Alfred C. Smith, population schedule, Soldiers Home, ED 1-46, sheet 62B, number of household visited 29, National Archives micropublication T627-735, Alfred was listed as a married 35 year old Macinist. William M Burnley household, 1910 U.S. Census, Culpeper County, Virginia, population schedule, Jefferson, ED 0019, sheet 12A, dwelling 229, family 229, age 56, occupation Drummer - Clothing House. Public Member Tree, online search.ancestry.com, Frye Family Tree - mfryeal. Miriam Burnley household, 1920 U. S. Census, Culpeper County, Vriginia, population schedule, Jefferson, sheet 20, dwelling 1A, family 8, 8. Louis B. Payne household, 1930 U.S. Census, Washington County, Louis B. Payne, population schedule, Washington, ED 0357, sheet 18B, dwelling 272, family 277, Married, 24 year old Grocery Store Manager. Louis B. Payne household, 1940 U.S. Census, Fauquier County, Louis B. Payne, population schedule, Center, ED 31-5, sheet 2A, Street or Post Office Alternate Route 211, number of household visited 25, National Archives micropublication T627-4262, Married, 35 year old Grocery Store Manager. Oregon Death Index, online http://search.ancestry.com/, Cert: 81-21538. Letter, Mary K. Reimer (nee Doherty) to Cynthia Reynolds Pratt, 15 Aug 1976. William C. Armstrong household, 1910 U.S. Census, Rappahannock County, Virginia, population schedule, Stone Wall, ED 58, sheet 128A, dwelling 68, family 71. Find A Grave - Memorial Page, online www.findagrave.com, William Cleminson Armstrong, Jr - Find A Grave Memorial# 23189306. William C. Armstrong household, 1920 U. S. Census, Rappahannock County, Virginia, population schedule, Hampton, ED 74, sheet 1A, dwelling 3, family 3, age 40, occupation Clerk - Circut Court. William Armstrong household, 1930 U.S. Census, Warren County, William Armstrong, population schedule, Fort Royal, ED 5, sheet 13B, dwelling 285, family 287, age 52, occupation Lawyer. William C. Armstrong household, 1940 U.S. Census, Warren County, William C. Armstrong, population schedule, Fort Royal, ED 94-5, sheet 19A, Street or Post Office West Main Street, number of household visited 357, National Archives micropublication T627-4299, Married, 35 year old Lawyer. Letter, Tom McLochlan to David C. Pratt, ca 1980, Cumberland Co. McL Geneology. North Caroline Birth Index 1800-2000, online http://search.ancestry.com/, page 205. Archibald Mc Laughlin household, 1910 U.S. Census, Cumberland County, North Carolina, population schedule, Cedar Creek, ED 48, sheet 81A, dwelling 84, family 84, age 67, occupation Farmer. North Carolina, Marriage Records, 1741-2011 [database on-line]. Provo, UT, USA: Ancestry.com Operations, Inc., 2015., online http://search.ancestry.com, George Edward Buelow and Margaret Ruth Jessup. Ancestry.com. North Carolina Death Collection, 1908-2004 [database on-line]. Provo, UT, USA: The Generations Network, Inc., 2007. Original data: # North Carolina Archives and Records Section. North Carolina County Records, 1908-1967. North Carolina State Archives, Raleigh, North Carolina., online http://www.ancestry.com, Social Security Number: 244582613.